A snapshot shows a 21-year-old man who was killed at a birthday party on Chicago’s West Side. 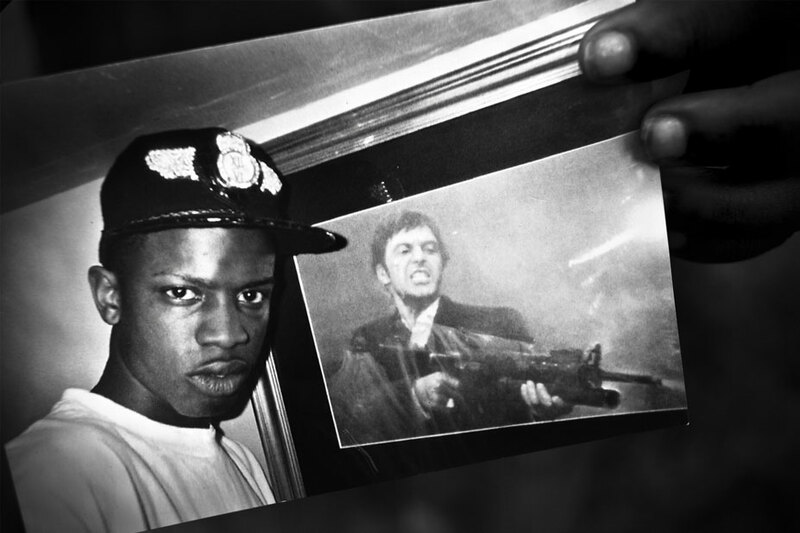 In the photo, the young man stands next to a painting from the movie Scarface. • What could be the intent of the photographer in juxtaposing these images within the photograph?